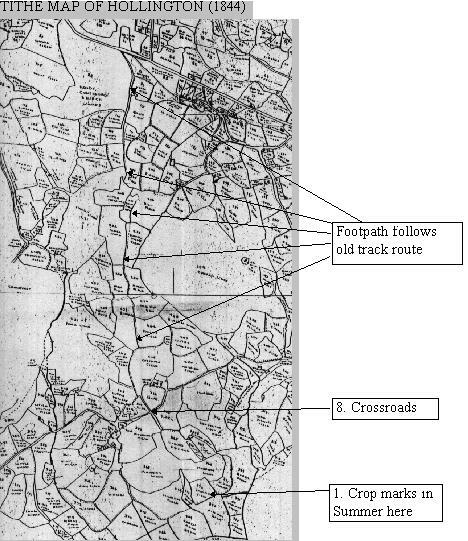 This shows the existence of the ancient footpaths that once followed the same routes. Even though many have since disappeared, enough are still present on the first tithe map in 1844, to back up the visual evidence. In particular the cross road is still clearly visible at Mayfield Farm, where the main route from the Bulverhythe port crossed the London to Hastings road although at some stage in the past it appears to have moved from east to west of Mayfield farm. Taking the tithe map evidence together with the visual evidence I believe that it can be shown that the two tracks connected Beauport Park and Crowhurst Park with the loading bays at the old Hastings port. This indicates that contrary to the previously held belief the Romans took the smelted iron south towards the deep water port at Hastings, rather than the much longer haul eastwards, even though the latter was down hill all the way. Loading at the Hastings port meant that they did not need to transfer loads from one boat to another in shallow water. Whilst a short part of the ridge towards Bulverhythe is uphill I do not really believe this consideration would be important when employing what was probably a slave labour force. Speed of delivery would have been a more important consideration than amount of effort. Once the tracks reached the port area they were so designed as to allow the cargo to be loaded at either of the bays, without necessarily needing to turn the boats around. The carts could also be returned to either bloomery for reloading without the need to turn them as well, since the network of tracks could accommodate this. At the top of the low lying headland, central to all this activity, two buildings controlled the area concerned. These now appear as two ponds, but a few building stones can be seen adjacent to the gap in the mound, where the old track to the headland passed through. The fact that this track is there indicates that more evidence may be hidden from view in the thick undergrowth at the bottom of this field. Henry Cleere and David Crossley, in their book The Iron Industry of the Weald, make the point that a case can be made for Beauport Park as “some kind of headquarters” because of the size of the excavations. Beauport and Crowhurst between them accounted for just under half of all iron production from the six major Roman iron production sites in the Weald. 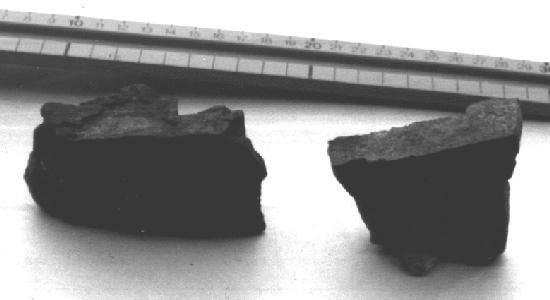 (126) This would require some considerable infrastructure in order to ship 40,000 tons of iron during the Roman occupation. It is my contention that the considerable effort required to construct the tracks and jetties confirms beyond doubt that the iron from these bloomeries was shipped south, using the facilities built at the port of Hastings on the Bulverhythe. Whilst the port area was almost certainly industrialised by the standards of the day bloomery activity took place on all three hills, occupying the northern side of the Combe Haven valley, from Wilting in the East to Bynes Farm in the west. Each of these hills, Wilting, Adams Farm and Bynes farm have a characteristic quarry, exactly the same as Beauport, situated on the crest of each hill. Bynes Farm is situated on the western side of the Crowhurst valley and is unusual because the quarry is even larger than that at Beauport, but this appears to have remained unreported. Whilst a bloomery site was examined at Bynes earlier this century it was located lower down on the slopes of the valley, where a cinders field is located. 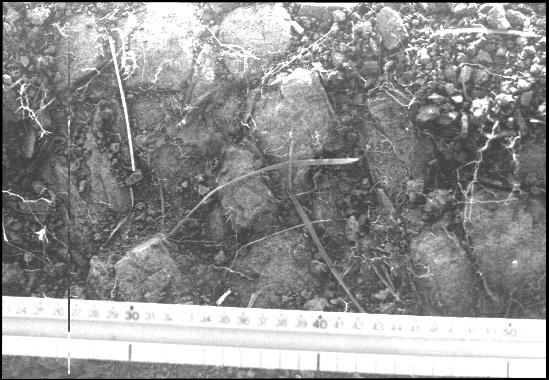 However the size of the excavation at the top of the hill suggests that this site needs further examination and the small excavation in cinders field did not reveal the true extent of the activities there. 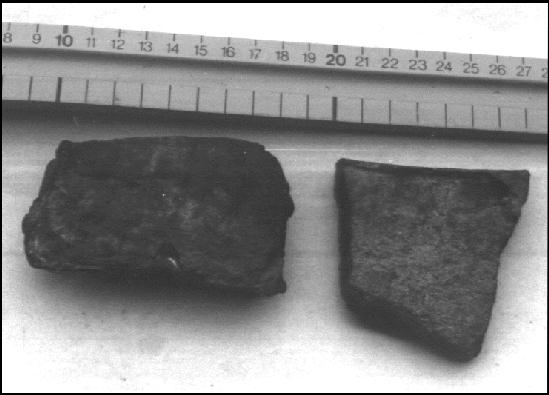 The reason that Bynes is important in our investigation is that smelted iron was loaded into boats south east of cinders field. This means that when the Romans were exploiting this site (AD 140), the Combe Haven valley must have been flooded or navigable up to this point. 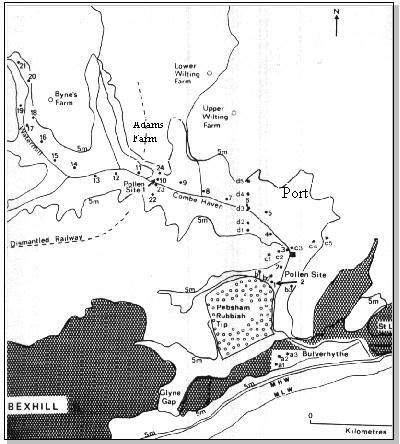 If you look at the map provided by the leading experts on the Combe Haven valley from Jennings and Smyth, used in conjunction with their study in 1987, you can see the layout of Bynes, Adams and Wilting, in relation to the valley. The Bynes loading bay was located in the crook of the bend north of where bore hole 16 is located. This is over 3 kilometres west of the Wilting port. A large map can be seen here. (104k) There is no evidence of any major change in the flora and fauna of the valley from the time of the Roman occupation, through to the period when the 13th century storms cut off the sea from the inland waterway. (127) In consequence it must be logical to assume that the valley was flooded and or tidal until that time. Taking sea level information into account the floor of the current valley is located below both the present day sea level and also that at the time of the Norman Invasion. If the shingle bank is removed or partly open it would be impossible for the valley to remain dry. Consequently it would be navigable to shallow draft boats and barges even today. Thus the concept of a large inland waterway becomes a reality by virtue of science rather than hypothesis. 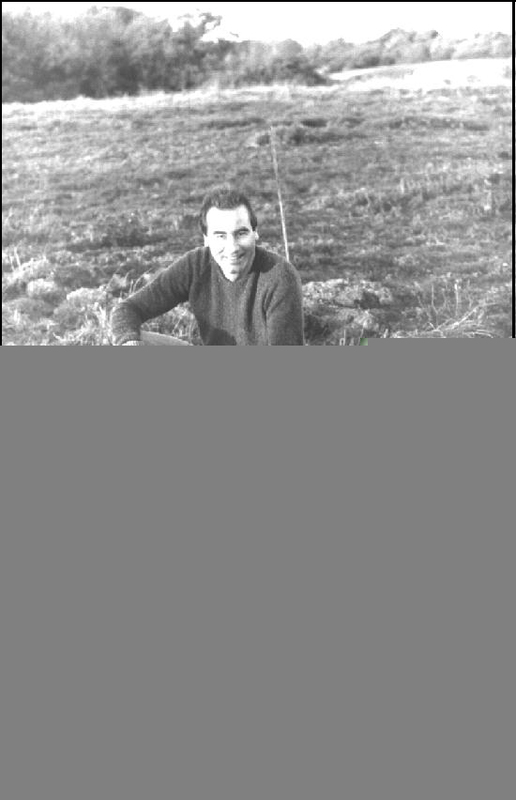 Even with the development of marsh grasses it is certain that it was possible to navigate this waterway as far as Bynes. Therefore the landing site at Wilting is supported by the geographical information. 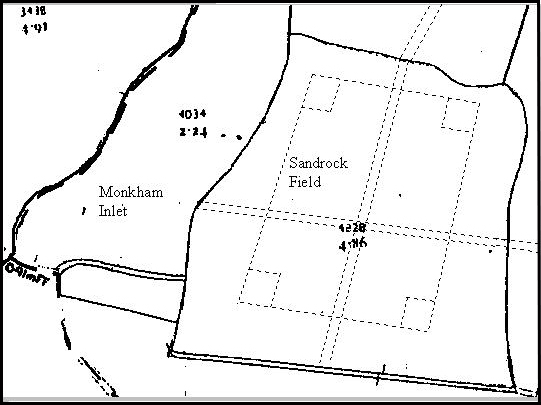 Adjacent to the Monkham Wood inlet there is a field with the only square corner on the whole Combe Haven valley, indicating man made intervention, called “Sandrock field”. This field appears to contain a possible defence of some description. In the Spring each year a large square can be identified in the crop, with smaller squares in each corner. I believe this may be a garrison fort, because of it’s shape and position, defending the major entrance to the port area. The tracks from the bloomeries converge at this point and run right down to where the water once stood. At the entrance to Sandrock field the boundary is raised by some four feet. At that point the track is still visible in a cutting between the two field levels and the slope appears to be constructed from ironstone, in some form of “cobbled” construction. Proper examination of this site is required by experts in the 1st and 2nd century Roman periods, when the Romans are known to have been located at Beauport, Crowhurst Park and Bynes Farm. Picture showing location of "cobbles" with tree pushing up centre from below.